The quiz was compiled and presented by local quizmaster Dave Twynholm with a wide variety of questions testing the teams’ knowledge of trivia from algebra to the zodiac. It was a hard-fought competition with all teams performing admirably, but the final result and prize winners sponsored by The William Webb Ellis Pub were as follows: Noisy Neighbours came in first, with Four or Nine second, and Quizzy McQuizface taking third place. Two Reeds won the Lucky Number Competition sponsored by Murphy’s Bar. The Rugby Myton Support Group once again ensured that the evening ran smoothly by collecting and marking answers, serving drinks and organising the raffle. 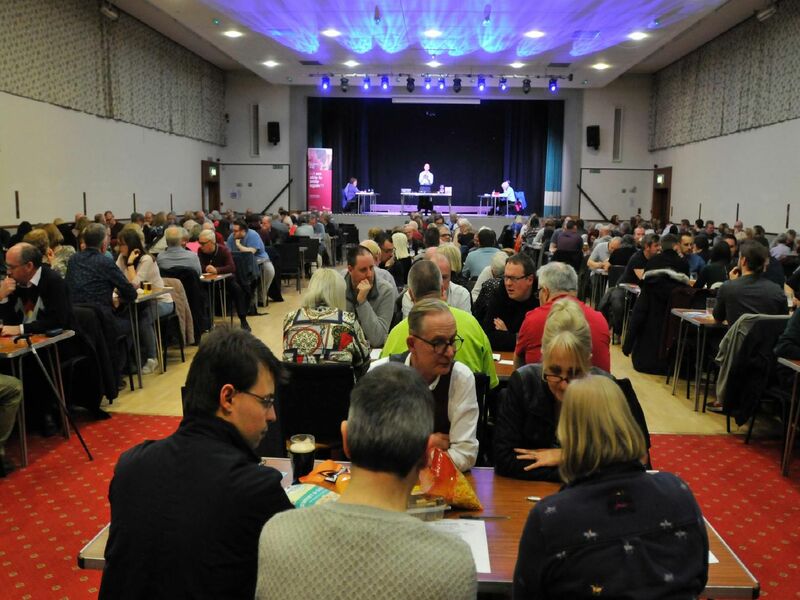 The Trivia Quiz will return in March 2020 and a Pop Quiz compiled and presented by Dave Twynholm in aid of Myton Hospice is on October 10, 2019.